Your home is not just your castle but it is also the place where you relax, refresh, gain inspiration and express yourself. Your home is a work of art that is tailored to meet the needs of those who live in it and to represent your unique tastes. Here are some really cool inspirational ideas for decorating your home exactly the way you want it. If you like to make your home interesting by replacing boring everyday features with cool ones then your locks are a good place to start. 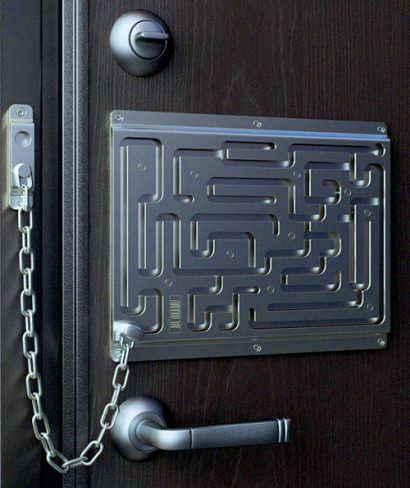 This labyrinth security lock certainly will present a challenge to anyone using your door! Installing a cool door lock is often easy to do and there are lots of options available. Light shades are very important and choosing the right one can make a lot of difference to a room. Consider what type of vibe you would like in your room before choosing a light shade as choosing the wrong one can create an atmosphere very different to the one you had in mind. 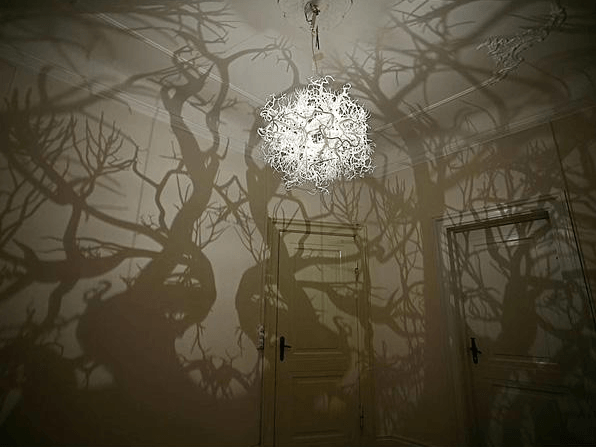 The cool forest light shade below is a stunning example of what can be achieved by using unique light shades. 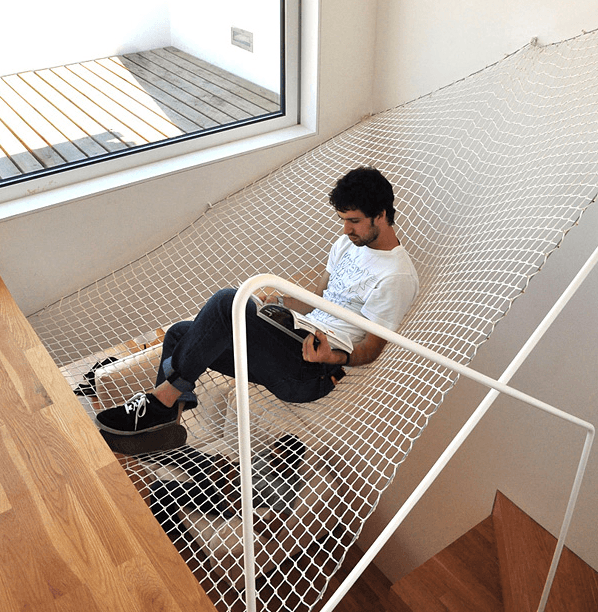 Take advantage of extra vertical space by installing a cool indoor hammock. This works particularly well in areas above stairways and near high windows. A truly innovative way of creating a private place to relax and watch the world go by. 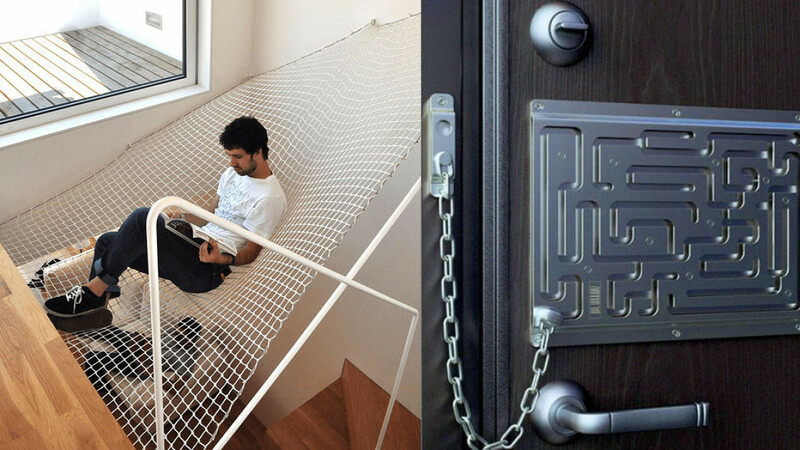 Unique hammocks placed in cool spots work well both outside and inside the home. Soap dispensers and an everyday bathroom must have that can really be turned into an interesting decorative feature. There are a lot of fun soap dispensers available in every theme you could possibly imagine. 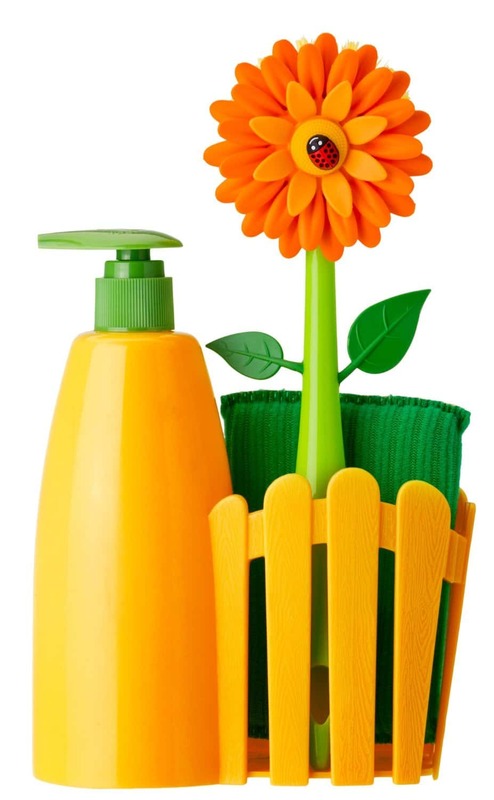 The flower soap dispenser below has an adorable cottage style appeal. 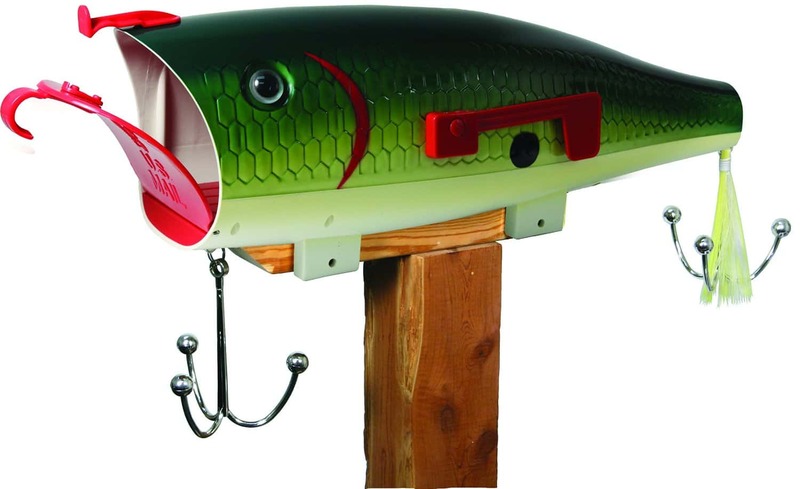 Another everyday accessory that you can customize is your mailbox. Check out the baby bass fishing lure one below if that's your kind of thing. If not, don't worry there are so many unique and cool mailboxes available that you are sure to be able to find one that is perfect for you! There's no need to spend a fortune in order to make some innovative changes around your home. Recycling some things you already have can create some totally cool effects. Check out the image below, the blocks serve two purposes. 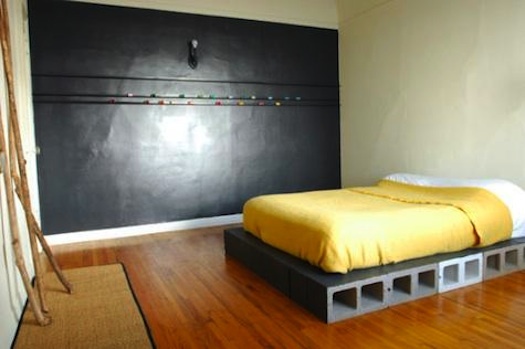 They hold the bed up and provide a great place to store shoes! If your home features any unusual pipes or beams that don't usually show, don't bother hiding them. Highlight them instead with a bright or striking color. Painting fans an create some truly cool effects that make it worth the effort. 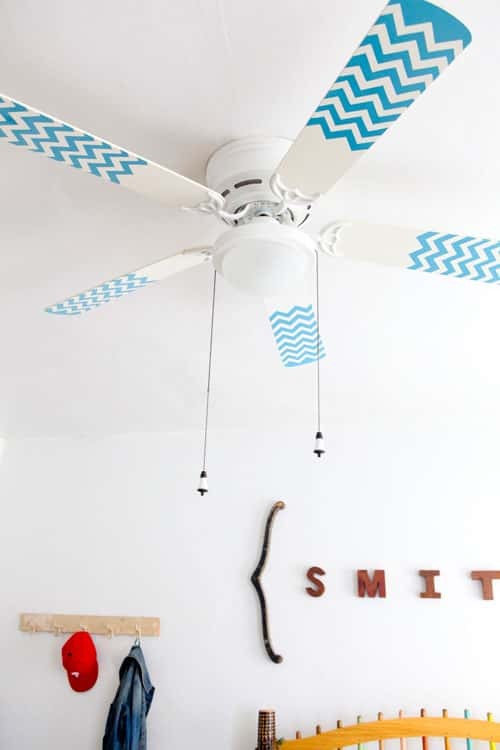 Use colors or a pattern to suit existing decor or if you have an interesting or vintage fan go wild with a bright contrasting color to show it off. In order to make guests feel welcome in a way that is different from the standard welcome mat tradition, get out a needle and thread. 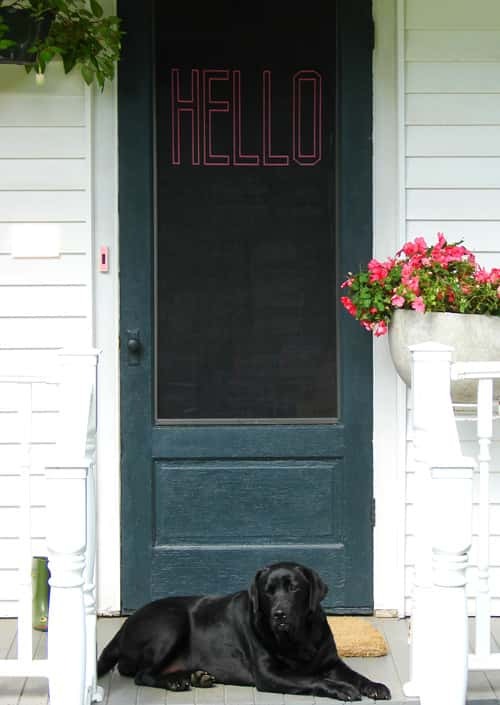 Use it to stitch a bright message on your screen door. Create some interesting throw pillows for any area that feature photographs or fun family memories. Use your spare room for storage without cluttering up the space so that it is still useful when guest come to stay. 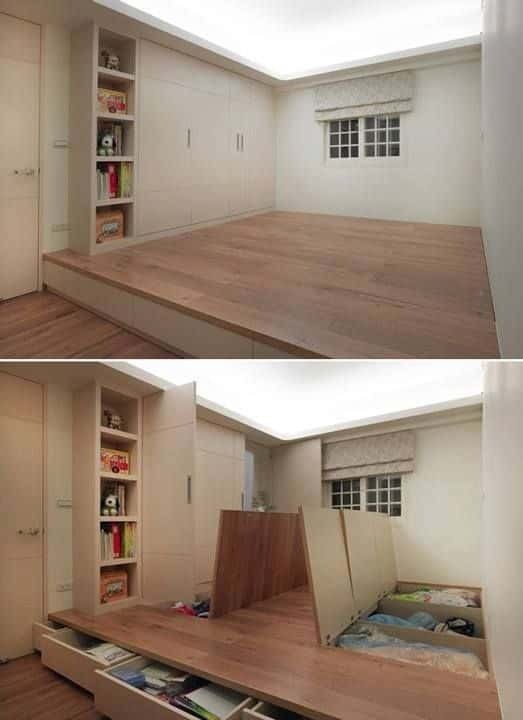 These hidden storage areas fit so much stuff and still leave the room free!